One of my students came bounding into the classroom the other day BEGGING me to read his new book. I took one look and thought, "Oh no, it's one of those goofy, over-commercialized books, with nothing substantial." It was probably the big bites in the book that made me think that. But I didn't want to hurt his feelings so I said, "Sure, it looks fun!" Turns out this book is GREAT fun. Opening: She used to be a good kitty, until one day ... Oh Dear! We're all out of food for the Kitty! Synopsis: Good Kitty turns into a very Bad Kitty when her owners run out of cat food. Her naughty behaviour is SO outrageous you can't help but laugh. Especially when Bad Kitty realizes her mistake. Now she must make amends, but can she turn her behaviour around? And will it work? Why I Like This Book: It's silly, funny, and original. It's the best alphabet book I've seen in a long while. It reviews the alphabet not once, not twice, but FOUR times. Even so, the pace moves quickly, as it bounces through unlikely food choices and crazy kitty behaviour. 1. The official Bad Kitty page has LOTS of fun activities and games to try out! 2. 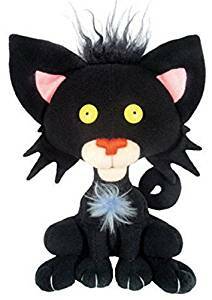 A Bad Kitty doll you can buy. 4. You could use it as a spring board and write your own book about "Bad Puppy", "Bad Froggy", etc. 5. OR your own alphabet book. 6. Mrs. T's First Grade Class has a charming art lesson. 7. 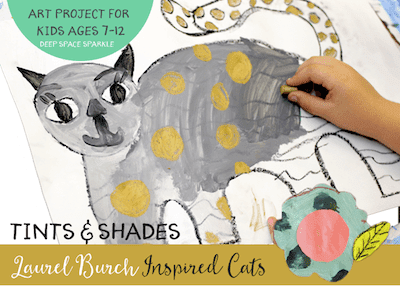 Here's another cool cat art project from Deep Space Sparkle. Check Susanna Hill's blog for some more fabulous picture books! You do such an awesome job selling us on books! LOVE IT. This sounds too adorable. My son absolutely LOVES Bad Kitty Books...I believe he has all but one. I thought the same thing at first, but I laughed hysterically when listening to him read it...these are too cute! My kids love "Bad Kitty". Thanks for the resources. I am going to have to pick this one up. I am always looking for great alphabet books. I love "Bad Kitty". Thank you for the ideas to go with the story! What a fantastic book recommendation! Thank you! I am always on the look out for new books to read to the kiddos! Thank you for entering our Lucky Literacy Center Pack giveaway! 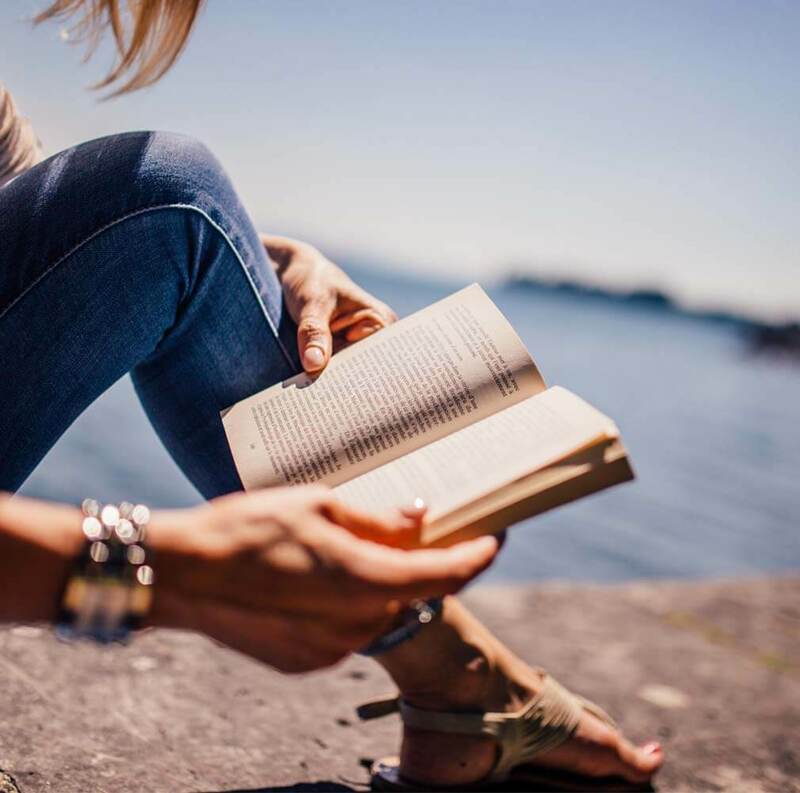 I love your blogs about books! Thanks for finding and sharing such great books! I'm going to add this one to my list. My kids LOVE Bad Kitty. I used it in the beginning of the year. There is one thing I don't like. I think it says shut up or something and some of my kids hyper-focused on it. Thanks for the resources! Thanks, everyone:). I wonder why naughty animal stories are so much fun? Ha ha. You're right about the "shut-up", Kimberly. Luckily no one in my class blinked an eye. Hmmmm. I've heard of this one, and seen it before, but never actually read it. And guess what? My library actually has it! I LOVE Bad Kitty! Such fun! And as always I love all your suggested activities. I think in the future when I love a book but can't think what to do with it, I'll ask you :) Thanks so much for sharing this delightful book! Aw, too sweet. Thanks, Susanna! Your activity suggestions are amazing. 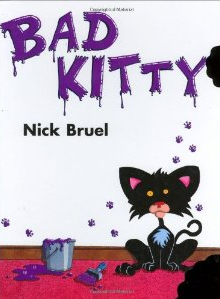 I hadn't heard of Bad Kitty and I am intrigued how the author manages to go through the alphabet four times! What fun. I love any National Geographic resources, and I like the idea of inspiring children to write their own stories. My kids love Bad Kitty!! Thanks for the great resources! Have never heard of Bad Kitty. Your enthusiastic review makes me want to read it. You give such good activity suggestions! Love your Picture Book Fridays! Thanks for sharing the books AND your great ideas! Bad Kitty cracks me up! I love Bad Kitty! He's so deliciously evil. You have some incredible activities this week, there's a few we'll be trying out here! Thank you. Add my kids to the long list of those that think Bad Kitty is hysterical. Thanks for sharing all of your resources! Loving that I just found your blog! I saw what you wrote on my post. I could be convinced to wait and let you use me as a guinea pig. Let me know your thoughts. I absolutely LOVE Bad Kitty -- and I'm delighted that the edition you saw was the cat-nipped edition with the chomp taken out of it. That immediately drew me to it in the bookstore, and I fell in love. 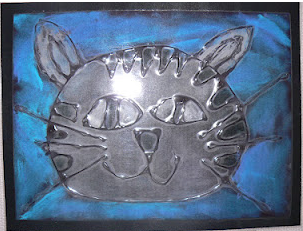 I TOTALLY LOVE THE "BAD KITTY" SERIES!!!!! I think you should try the chapter books too! :) :) :) Great post! Never heard of Bad Kitty, Sounds adorable. Love the Bad Kitty doll to. Now combined they would make a great gift. Love the activities to. Greate review thanks. I must read this. I have read Bad Kitty Christmas. It was over-the-top incredible. The rhyme was endless fun. I read it several times before reluctantly returning it to the library. I LOVE Bad Kitty!! They are so cute!